The Mediterranean can separate people who live in the North and in the South and at the same time can be considered as the factor that unites them. For the Palestinian Nabil Salameh and Italian Michele Lobaccaro who met in Bari in Italy when they were students in the 80s, the Mediterranean Sea is their common place and they cannot but praise it in their songs. Nabil Salameh sings in Arabic “I’ve got no home although I’m not a hermit”, however both singers are pilgrims. They take their sticks with them and set off on a journey by sea singing the songs of peace and bridging the gaps between cultures. Despite the fact that they can be misunderstood by other people, Nabil’s voice penetrates into all hearts irrespective of their religious persuasion. 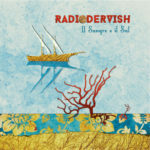 Upon splitting of their first group Al Darawish in 1988 they created the second one – Radiodervish in 1997. Since that time they have been accompanied by Alessandro Pipino, who plays keyboards. When the opportunity occurs, they cooperate with other artists, for example, Orchestre Arabe de Nazareth or jazz pianist Livio Minafra who has taken part in compositions from their last disc Bandervish which was a stunning success. Nevertheless, their universe is still more modest, more intimate.